What do HSLDA and the ACLU have in common? Usually not a lot. However, both HSLDA and the ACLU are standing shoulder to shoulder against proposed regulations by the IRS that would prohibit 501(c)(4) organizations like HSLDA from telling you, American citizens, about what our elected officials are doing. We previously wrote about these proposed regulations, and how you can submit a public comment for yourself in opposition to the proposed regulations. You can read the letter that HSLDA sent to the IRS opposing the proposed regulations, and you can read the ACLU’s letter to the IRS. In addition, HSLDA Senior Counsel Jim Mason has been asked to testify against the proposed regulations before the House Subcommittee on Economic Growth, Job Creation, and Regulatory Affairs chaired by Representative Jim Jordan (OH). The hearing will be held on Thursday, February 27, at 9:30 a.m. EST. 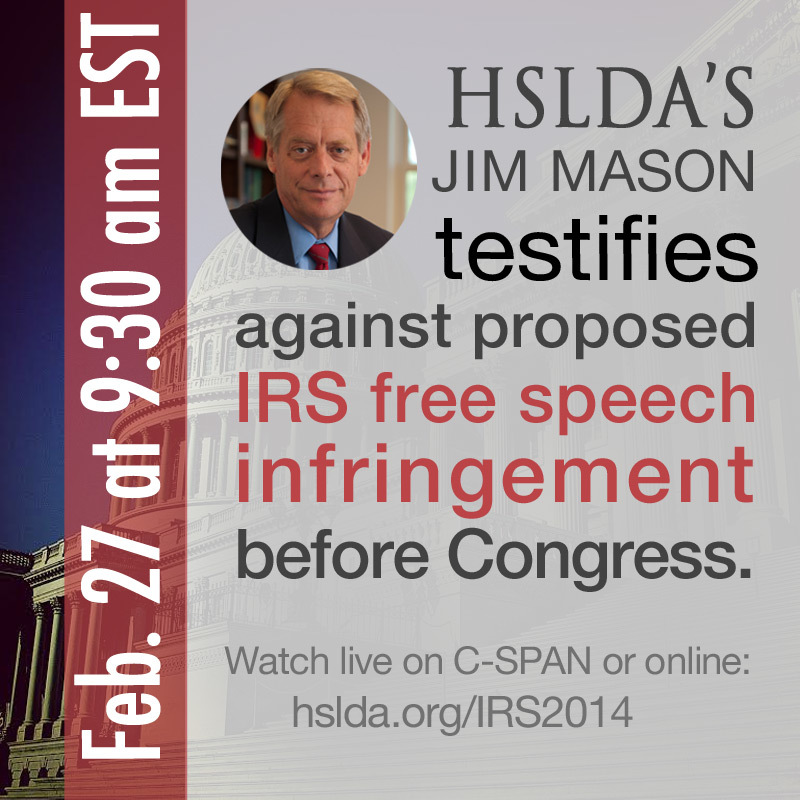 You will be able to watch the hearings live on CSPAN, or on their webpage. You can see the members of this subcommittee listed here. ← Will the Supreme Court Take Romeike? Please Pray!